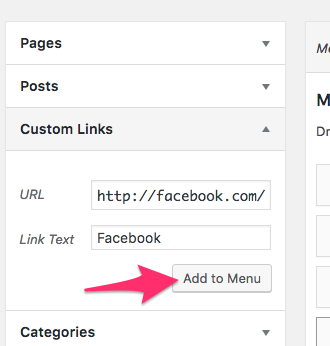 You can create a social menu just by adding your social URLs as a menu item. 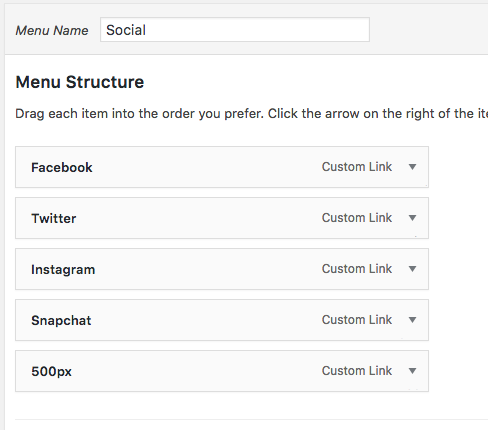 First go to your Admin Panel > Appearance > Menus and click "create a new menu"
Then select the Menu Location, in this case will be the Social Menu location, and you will see the menu in the footer or on all other location where the social menu should be. Click "Save Menu" and that's it.